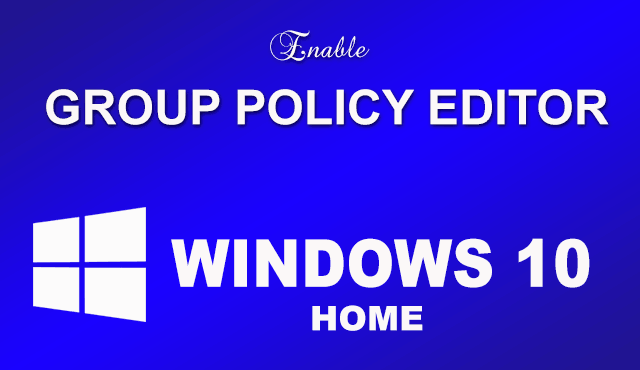 In this tutorial, I am going to show you how to enable Group Policy Editor in Windows 10 Home. Group Policy Editor plays an important role in Windows operating system, which controls the working environment of user accounts and computer accounts. If you want to make different changes and tweaks on your computer, it helps a lot. When you try to open it on your computer, if it shows like, ‘Windows cannot find gpedit.msc. Make sure you typed the name correctly, and then try again’. Then you are surely using windows home version. Now many people are using the Windows 10, but group policy editor not available for Home version; it is only available for Pro and Enterprise version. Earlier I have described a tweak to increase Internet speed in Win 10, but Home users can’t do this because of the absence of GPeditor. To enable Group Policy Editor in Windows 10 Home, follow the below procedure. This is a simple fix, which you can disable by enabling the group policy editor. This is a third-party gpedit installer, which can solve your problem. This is a small file. After complete of downloading, open the zip archive and run the setup.exe file. It’ll take few seconds to complete. 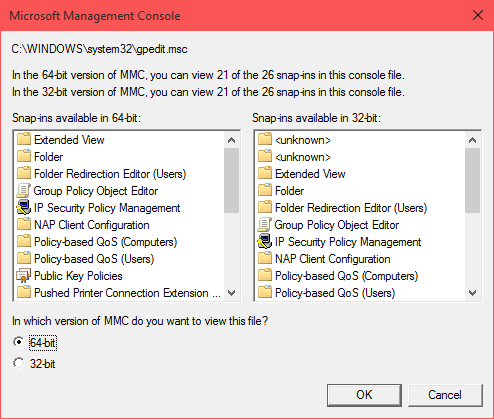 To open Group Policy, just open run command and type gpedit.msc or search in the start menu. Every time you open, it’ll ask you to choose the 64-bit or 32-bit version. Choose your windows version to open it. 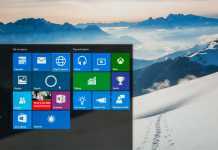 This was the procedure on how to enable Group Policy Editor in Windows 10 Home. 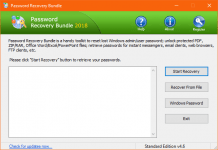 This installer file not only works in Win 10, but also works in Windows 7, 8 and 8.1. I have personally tested it. This is a simple tweak to enable group policy editor in Windows 10. Hope you all like it. If you are facing any problem or error, then share it below. I’ll try to solve it. I didn’t get this screen at all. Is there another hidden somewhere that is overriding this one? In the batch file (when installing), I notice the word “failed” come up. Probably not good. I am administrator on this computer, so evidently it is not allowing to write to windows. I have an error after I open the “gpedit.msc” . It says mmc could not create the snap-in. Please help! The file I downloaded only installed gpedit.dll in sysWOW64. Hello there. I really want to improve my internet speed, but I am confused. The command is the command prompt right? Which command you are talking about? You said," To open Group Policy, just open run command and type in gpedit.msc……." This is not fake or something. At first I thought it is. The gpedit will be installed but cannot be accessed via Win+R or any other search feature. You'll have to go to C drive>Windows>sysWOW64>gpedit . That way you'll be able to use gpedit. That creates a hardlink, which is like a shortcut, and is what the alternate gpedit_setup.exe package that I made does. Because of the issues as reported below, I created my own installer that installs the same files as the one above, but in a manner so that it (hopefully) works without extra steps or errors, especially on 64-bit Windows 10. I tried posting the link yesterday, but it didn't get past moderation (I'm just trying to help your readers, mods), so just google "gpedit_setup.exe" (with or without my typical username, "Osprey") and you should find it easily enough. I hope that it works better for you all. I should add that, when you find the link, make sure that you click on the BLUE (not green!) "Download Now" button to download it. Some people have been clicking on the fake links around it and downloading who-knows-what, instead, then accusing me of uploading something packed with viruses. Thank you for this, it actually worked. yeah this crap dont even work, i just tried this….just got a new laptop today. so I know the problem isnt on my end. Same as Sanju. Doesn't work. doesnt work for windows 10 home. I still do not have gpedit.msc when i look in system32 folder or type it in run command. 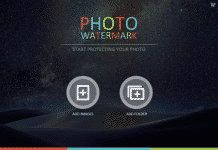 I installed the file as suggested. Same. I've tried to download the file in both Chrome and Firefox. No dice. I get the same message that J Davis got. Please advise. Check it again. It is not blocked. yes it is blocked for me also….it says "The file you attempted to download has been previously claimed by a copyright holder through a valid DMCA request and cannot be downloaded." Try it on Another browser.